Al Falah University is participating in the interdisciplinary exhibition organized by the Sharjah Public Library for three days to raise awareness of future students in the selection of specializations and academic programs commensurate with their preferences and requirements of the labor market. 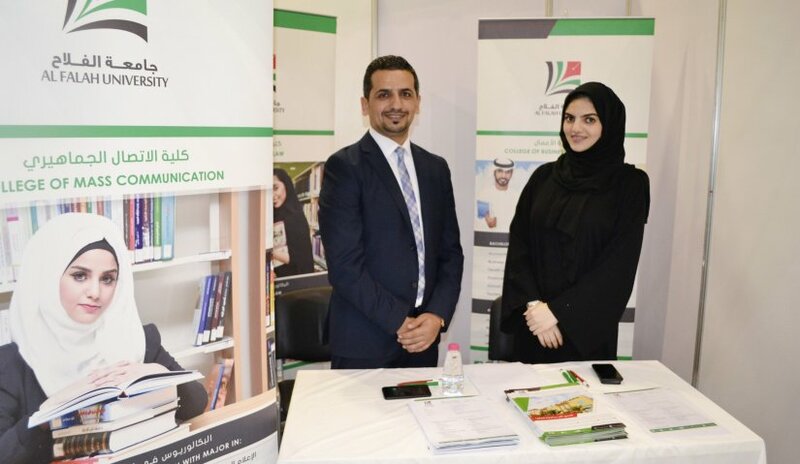 The exhibition provided participating universities with a platform to communicate with students and to provide all the details of the educational programs being offered. Brochures with all the vital information are also ready for distribution. Al Falah University is now accepting registration for students for the new Undergraduate programs under the College of Business Administration, Bachelor of Science in Business Administration with major in Finance and Banking and Bachelor of Science in Business Administration with major in Human Resources Management.